An innovative yet simple accessory, ideal to keep plates and items in place in the motorhome and caravan while on the road. 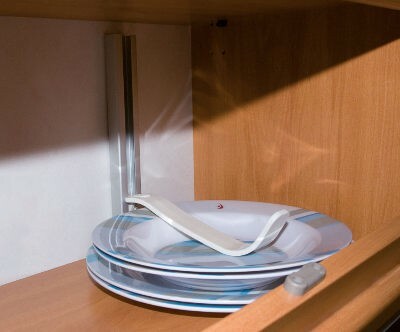 Fix the Omni-Stop to the shelf or cupboard wall inside your caravan to hold any item in place and prevent it shifting. 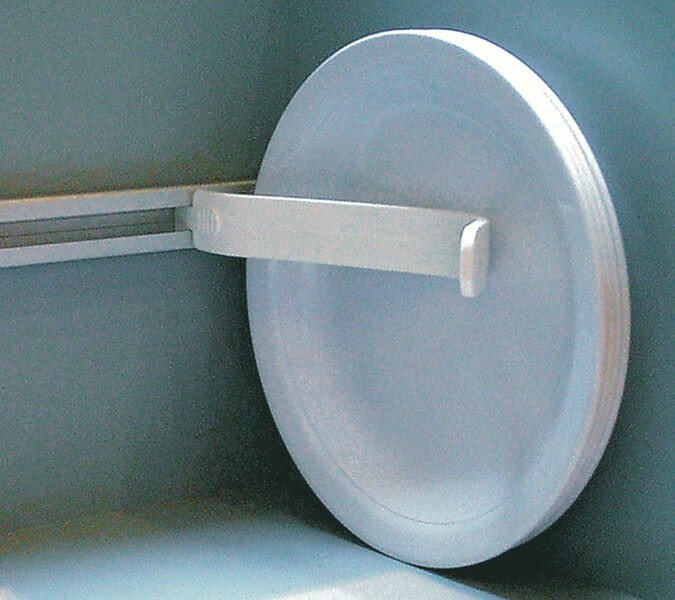 Can be used to hold pots, plates, towels, clothes, DVDs and books. Securing track made in anodized aluminium is 25cm long and support arm in sturdy plastic is 20cm long. The Fiamma Omni-Stop can be used in the vertical or horizontal position. Material: Anodised aluminium & plastic. Supplied with 3M self-adhesive backing strip to fix securely to a flat wall or surface.